Hiya guys! I have a little making up to do today, because yesterday I ended up falling asleep instead of blogging. Whenever I 'nap' you might as well say goodnight to me because I'll be asleep for at least nine hours, haha. Anyway first up for today I'm sharing my Day 2 design for the Digit-al Dozen Rainbow prompt. 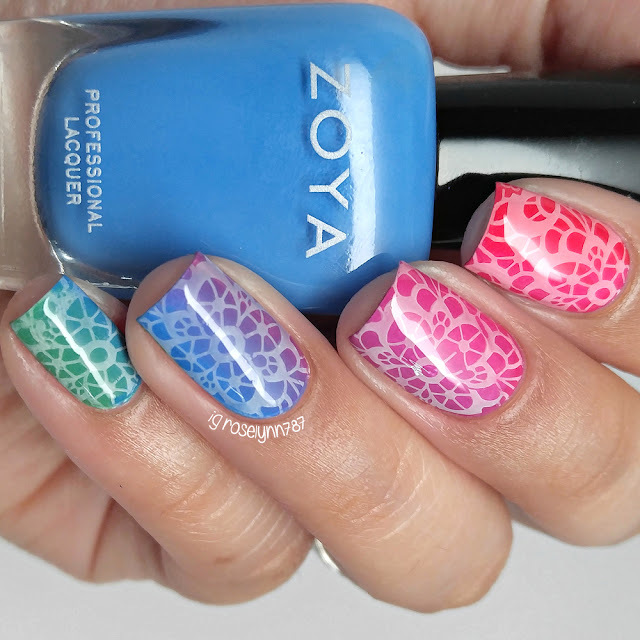 It's a very simple vertical gradient with semi-transparent stamping. 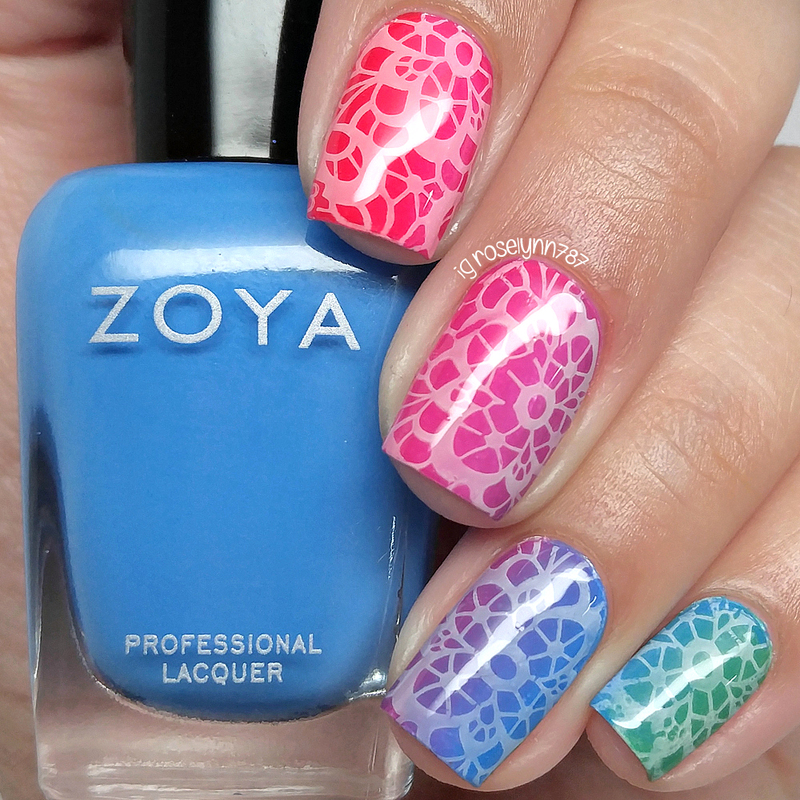 I'll admit I'm not entirely crazy about this mani, I was expecting the colors to pop more than they actually did. Don't get me wrong though, I do like the way it turned out in the end. It's just one of those cases where it just wasn't what I envisioned. Today's mani is actually a really simple and easy look to accomplish! The key to the design is the stamping and how the white is really not opaque. Initially when I purchased this stamping polish from Bundle Monster I was disappointed in the fact that it's not a really opaque white. But now I can definitely appreciate the different look it ends up giving a design. Even though I created a video tutorial, I didn't get a chance to edit the clips and I'm not sure if I will or not. If it's something you guys would like to see the video let me know and I post it up tonight. 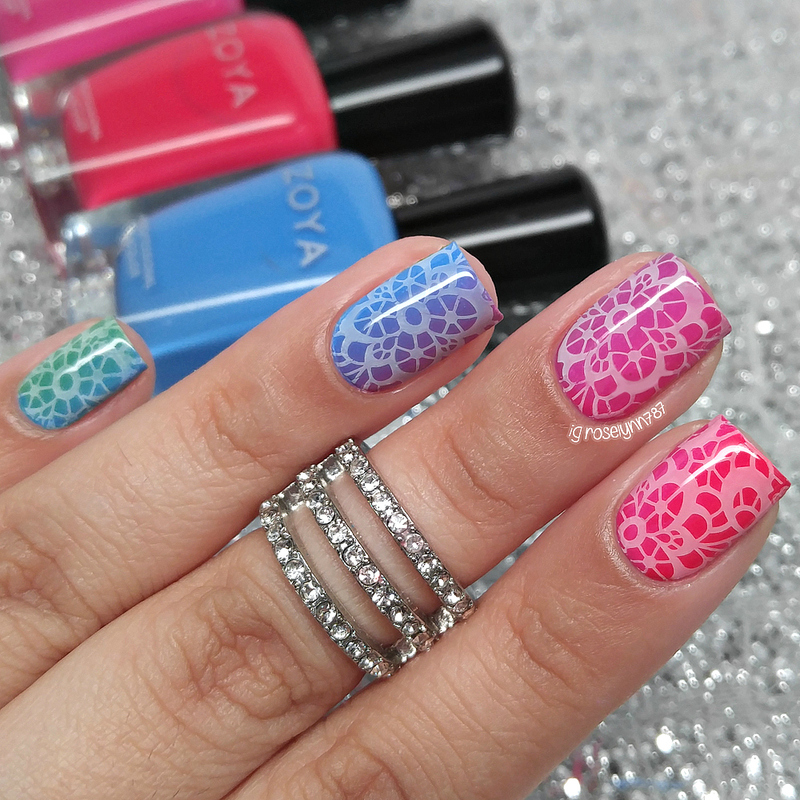 Lovely mani, but the colour that i like the most are the pinkish one! Great photos as well! Oh my gosh, even if you're less than in love with it, I'm over the moon!!! Beautifully done! I'm loving the stamp you chose. It reminds me of stained glass. You should stamp it in black and do some lead lighting to try that! It might not even work. I know nothing about stamping. You're the professional here. Pretty! I love the gradient of colors! I've had several manis that don't turn out like I thought, but only a handful of those I ended up liking :P I like that these are subtle! It's very pretty! !